Perkbox help to reward your employees with an exclusive range of perks like meals out, cinema tickets, shopping, gym memberships and much more. As the employer, you will have access to a set of admin tools so you can track employee usage and engagement in realtime. The below content is from social media taken from external sites and is not representative of the views of businessagent.com or Perkbox. 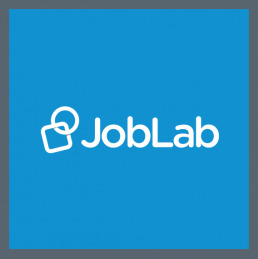 JobLab is a candidate-first online job portal that aims to revolutionise recruitment for candidates and employers. JobLab has introduced an innovative way to easily connect graduate talent with meaningful careers. With JobLab, employers find and hire genuine talent efficiently, without the necessity for an agent, thus helping graduates get noticed quickly. One of the most remarkable features of JobLab is the JobLab Tokens that rewards users for their attention and data. Moreover, the company's response rate is now five times better than its competitor, LinkedIn. JobLab, in 2018, saw an annual growth of 240% and generated £240k revenue in Feb 2019. Moreover, the platform has attracted 30,000+ job-seekers and has developed an efficient revenue engine. Ice is a fair rewards programme which gives its clients generous discounts off great brands. With the aim to mitigate climate change, Ice educates and incentivises consumers to buy from retailers with superior environmental credentials. Ice earns recurring commission of up to 10% on automatically tracked customer transactions directly with Ice retailers. Having an average transaction value that is 152% higher than a retailer's normal average, Ice has demonstrated the ability to deliver maximised profitability to its partners and staff training for the retailer. It is also a UK launch partner for Global Card Linked Services provider and has long term contracts with blue chip retailers with annual revenues of £6bn+. 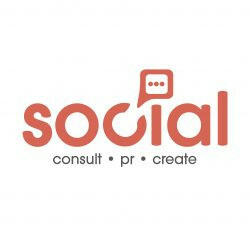 Social Communications specialise in public consultation, PR and political liaison across the UK. They currently work within the housing, retail, regeneration and housing sector and will be expanding into the transport, energy and health sectors.